After four years of musical exploration, cruising within the styles and technical improvements Manmachine is, in a big way, coming back to the roots with his third, long awaited album 'Gravity'. Uncompromising style that represents the universal Manmachine's psychedelic trance language contains nine brand new tracks of dancefloor-oriented sound, confronting all possible psytrance styles in this innovative masterpiece. This year Iono Music introduced its new publishing concept which expanded range of music on faster psychedelic sound but also remaining faithful to their progressive basis. 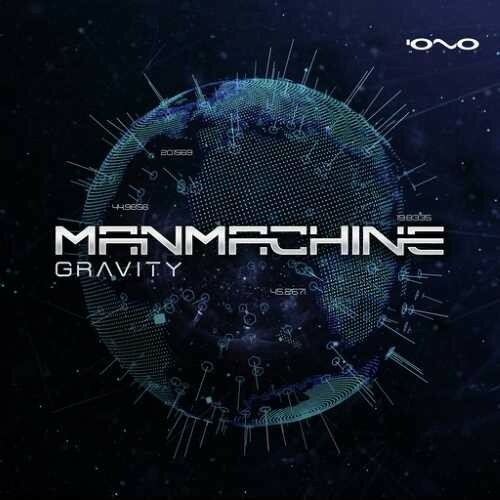 Right on Gravity is opening this new chapter both for Iono and for Manmachine. This album is undoubtedly a dedicated Dancefloor hurricane, in tempo from 142 to 144 BPM, thematically coloured by styles and tonalities. Miroslav had specially designed sets of completely new kick drums, basslines and percussion, along with harmonic synths and pads making this compilation very specific by style. Although Miroslav likes to do most of the work on the album by himself, it was necessity to decorate the album with one collaboration with his great friend and colleague Nikola Imaginarium. And it is this very track that defined the name of this huge release which velocity will move out of the balance many dancefloors worldwide during the forthcoming summer.